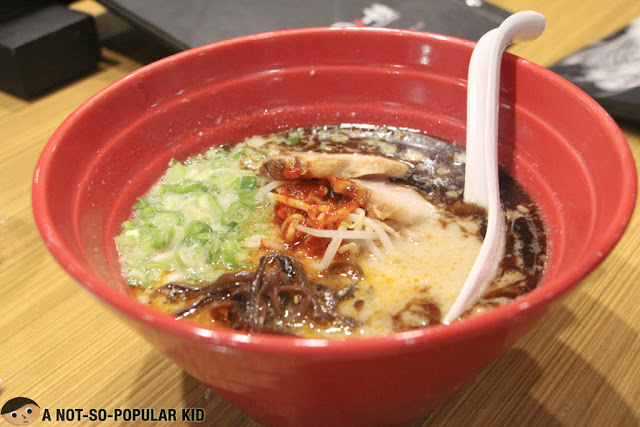 This blog post is dedicated to highlight the top ramen places I've been to. 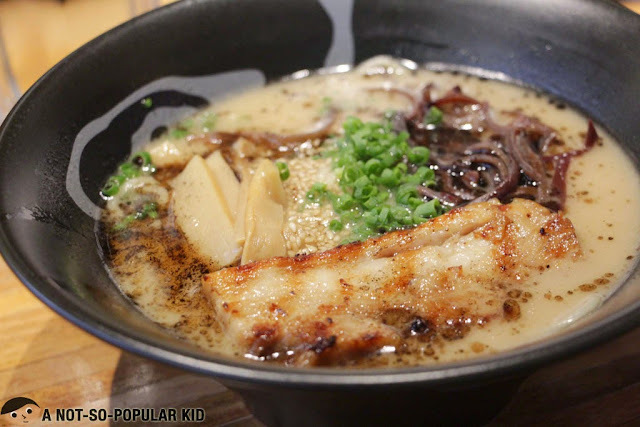 I know I may be a little late in coming up with this list, but I wanted to have my own documentation as well of the best ramen places here in the metro. Note, however, that I don't have a clear criteria or basis for this ranking. As a result, I just banked on my own judgment as well as how great I felt with the bowl of ramen I had in coming up with this list. Also, if you want to see a more detailed review on the ramen place, just tap or click on the name of the restaurant just before the image. Update 05/14/18: Even up to now, I haven't completed this list, but I managed to update a little and check my ranking. 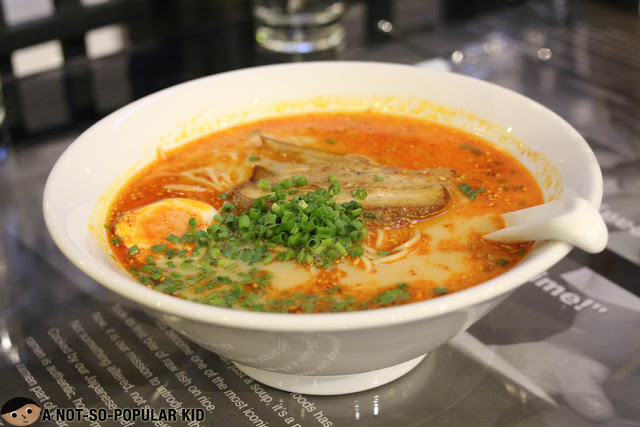 Ramen Nagi offers a lot of flavors in its bowl perfected with a playful yet flexible kick depending on your preference. 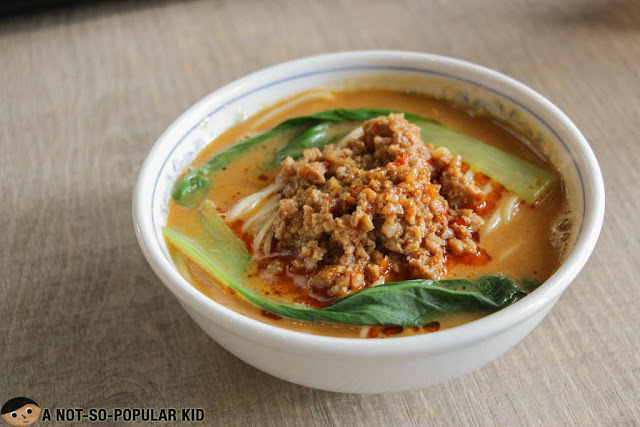 What makes Nagi number for me is the combined greatness of the broth, the noodles and the heavenly tender meat. On top of all, I perceive the ramen here as "balanced". I know you'll think that I'm going for the "popular choice", but this is really still my go-to ramen. What to order? Any of the King Ramen Series (i.e. Butao King, Green King, Black King and Red King) -- the Green King is my personal favorite. 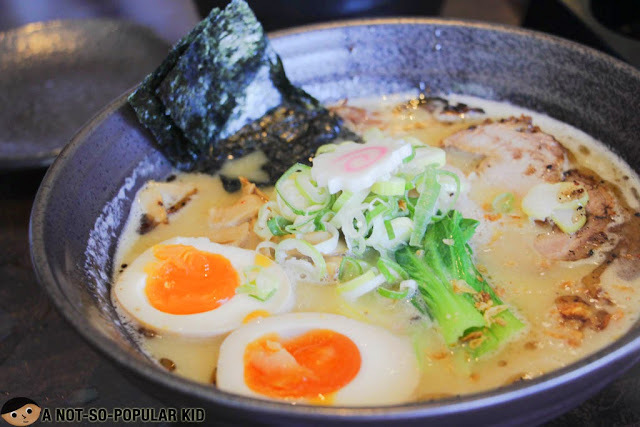 Kichitora Tokyo Ramen House will surely catch you off guard with its tremendously great Paitan ramen, and just like in Ramen Nagi, the Paitan's greatness of flavor is well-balanced allowing you to finish the bowl done to its last drop. 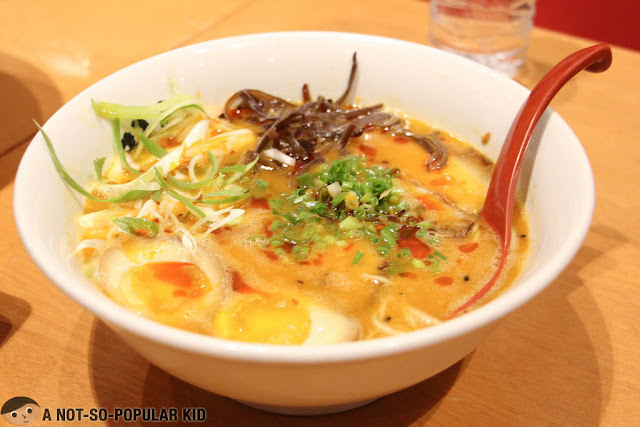 Ramen Yushoken showcases more of the traditional ramen, but what's different here than in Ramen Nagi is the availability of the tsukumen as well as the cold noodles or soba. The main reason as to why this one placed no. 3 is the overwhelming bold flavors of the dish. Too much intake got me too tired of the taste. Despite such claim, I won't deny the greatness of the ramen and tsukumen here! I am not quite sure as to why I didn't enjoy Mendokoro the way I imagined it to be. Perhaps it was because of the excessively bold flavors that triggered something within me -- something like an alert button that me pause for a while, and re-think whether the dish is healthy considering the multitude of flavors. Regardless, I enjoyed the ramen here in its traditional form. Update 5/14/2018: I couldn't understand the current rave about this, but I shall visit here once again to check if there had been changes. 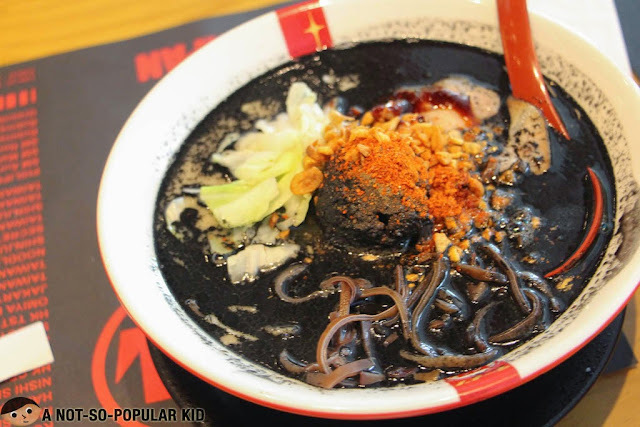 Making a true comeback, Mitsuyado Sei-Men didn't appeal to me during the first time my first dining experience when I had the Double Cheese Tsukumen. However, I felt like I needed to give it a second chance, and luckily I did! 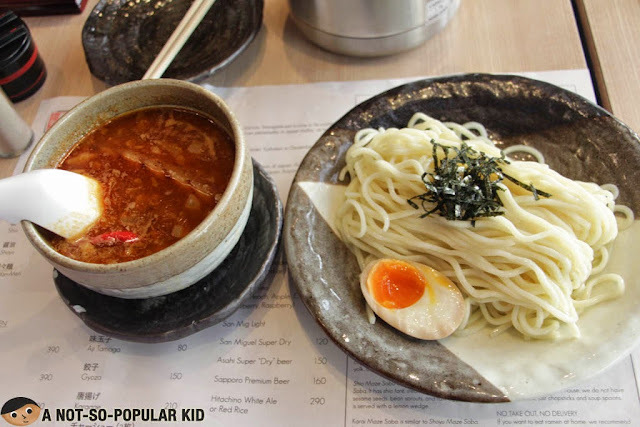 I just love their relatively new Tan Tan Ramen as well as the well-balanced Miso Tsukumen. Uma Uma may not be the best-tasting ramen, but it was perhaps the "most-refreshing" one I had. The absence of the MSG and the ease in the salt gave us this "suave" taste in every sip. The broth didn't give any stinging effect on the tongue which is why it's a "painless" way of eating a ramen. This may surprise you because Ipuddo is often in the top 5 of other blogs or websites, but I just did't find it really great enough to carve a space in my own top 5. Well, of course, I still liked it here because of the great tasting broth! I have finally decided to include this on my top 10 list, because why not? I mean, it's really one of the very decent ones you can have, and on top of all you really don't have to break the bank for this. As a matter of fact, you can have a bowl here in Ramen Kuroda for half the price (perhaps even less) of all the other ramen in this list. So far, this is all the ramen places I deem to be worthy to be part of the list. I wanted to include Ukokkei (but only for the Tantanmen), had it been consistent across all other ramen bowls, I'd be including it. Anyway, here are also the list of those that I already tried but unfortunately didn't make the list. Anyway, I'm still building this list, so I'm definitely open for your suggestions. 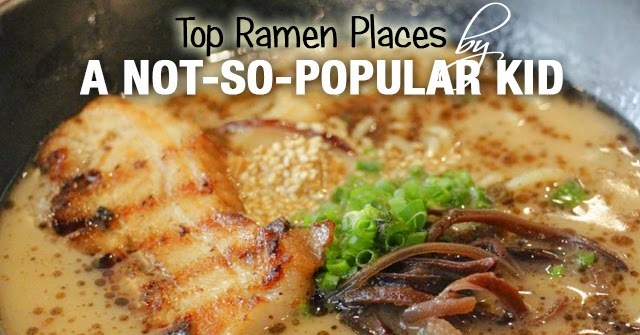 Hopefully, you'll drop some comments and share your favorite ramen places! Everyone should try SIGEKIYA RAMEN at commerce center in Alabang.Very good taste and and very challenging spiciness!